113 classic road cars and 24 race cars to go under the hammer at the world’s biggest classic motor racing festival. Many celebrity names appear in owner histories including Sir Elton John, Rowan Atkinson, Gary Rhodes, Jay Kay and Lulu. 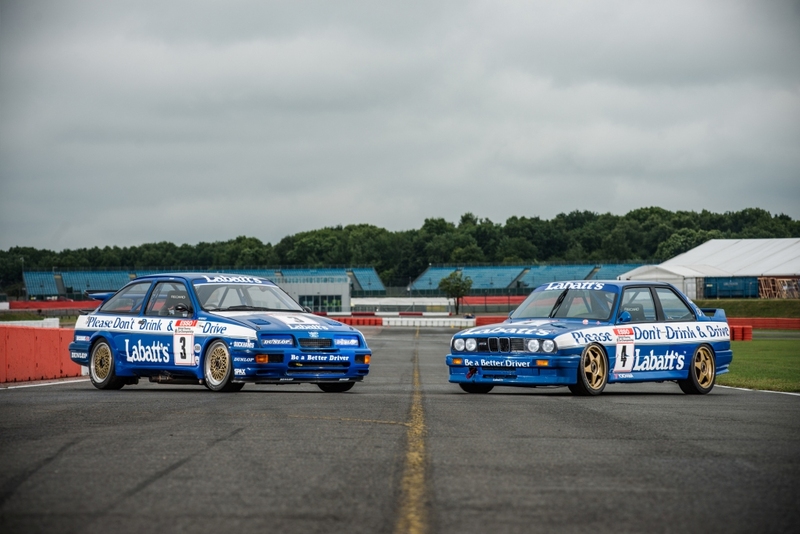 Silverstone Auctions will present 137 of the most desirable classic and race cars at the world’s biggest classic motor racing festival, the Silverstone Classic, which takes place at Silverstone Race Circuit on 28th-30th July. The race car sale takes place before the festival on Thursday, 27th July, with road cars going under the hammer over the two days of the Silverstone Classic weekend on 29th – 30th July. 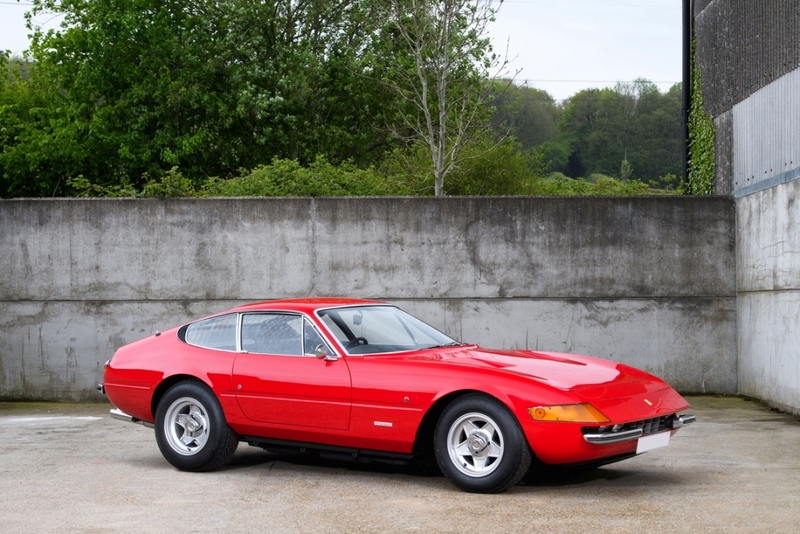 Famous names appear in the owner histories of many of the cars including a 1972 Ferrari 365 GTB/4 Daytona, estimated at £525,00 – £575,000, once owned by Sir Elton John, and Rowan Atkinson’s 2015 Land Rover 90 Celebration Heritage Edition, estimated at £38,000 -£45,000. Others include a 1971 Mercedes-Benz 280SE 3.5 Coupé previously owned by Lulu, celebrity chef Gary Rhodes’ 2006 Ferrari F430 F1, and a selection of cars from a collection owned by Jamiroqua’s Jay Kay. 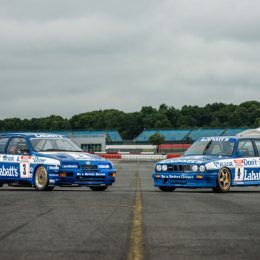 Motor sport fans will be impressed to see ex-BTCC Champion Tim Harvey’s iconic Labatt’s BMW M3 and Ford Sierra RS500 race cars, and thrilled to see the late great Barry Sheene’s 1985 works Toyota Supra race car on sale. Harvey’s 1991 BTCC BMW M3 is estimated at £140,000 – £180,000, while his 1989 season RS500 is estimated at £180,000 – £220,000. Motorcycle ace Sheene’s Toyota is on sale with an estimate of £60,000 – £80,000. A number of exceptionally low-mileage classics are also sure to attract enthusiastic attention, especially a remarkable 2010 Ford Focus RS500 that’s covered only 206km since rolling off the production line and is estimated at £50,000 – £60,000. With only 1,633 miles on the clock a 1997 Lotus Elise S1 is estimated at £20,000 – £25,000, and an example of the infamous 377 bhp Vauxhall Lotus Carlton, which has covered just 4,500 since it was first bought in 1991, is estimated at £60,000 – £70,000. 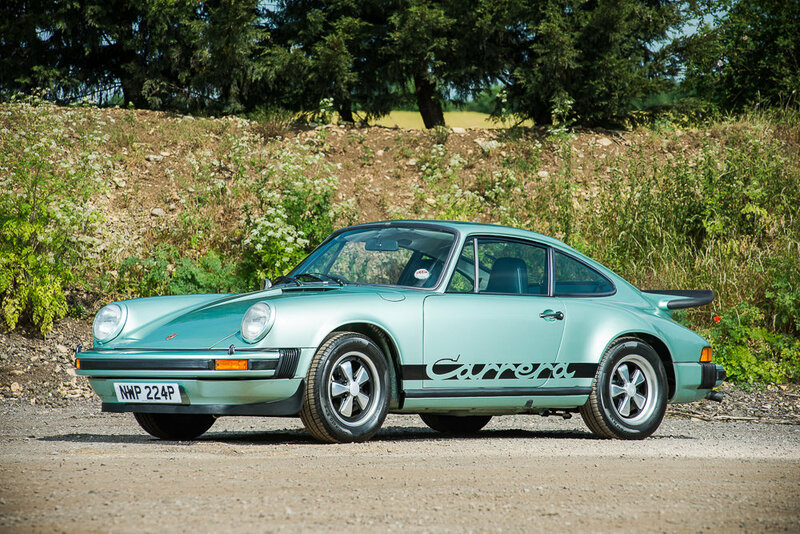 World class examples of modern and classic Porsches are always popular at Silverstone Auctions and this year’s Silverstone Classic is no exception with a wide range of truly stunning examples on offer. 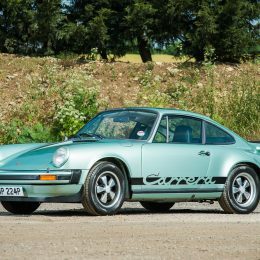 A 1975 Ice Green Porsche 911 2.7 MFI, one of only 21 UK right-hand drive versions left, catches the eye with an estimate of £190,000 – £230,000, while a beautifully presented 356B from 1962 recaptures the glamour of the past and is for sale with an estimate of £100,000 – £120,000. No sale would be complete without the iconic Jaguar E-Type and Silverstone Auctions presents nine exceptional examples at the Silverstone Classic, headlined by 1962 Series 1 3.8 Coupe in red with an estimate of £100,000 – £120,000, and a white Series 1 Roadster, also from 1962, with an estimate of £120,000 – £140,000. Of the more unusual cars on offer is a 1967 Intermeccanica Torino Italia, billed as ‘the finest car you’ve never heard of.’ The Turin-based manufacturer combined the very best of Italian styling with Ford mechanicals to create an exclusive sixties sportscar. Built with a Ford 289 Hi-Pro V8 engine, this example was number seven off the production line, making it the rarest of the rare. In addition to cars, there is also a wide range of collectable watches and automotive memorabilia on offer, including an impressive collection of trophies, books, posters and prints from Porsche racing legend John Fitzpatrick. Viewings of lots take place on Thursday, 27th July from 13:30 until 18:30, Friday 28th July from 09:00 until 18:00, Saturday and Sunday, 29th and 30th July 09:00 until 14:00. The race car auction takes place on Thursday 27th July starting at 18:30, while the sports and classic cars auctions start at 14:00 on both Saturday 29th and Sunday 30th July. 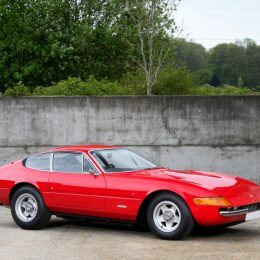 For more information please visit: www.silverstoneauctions.com.